The tipping point for Sayeeda Warsi came in the aftermath of one of the most notorious incidents of this year’s Gazan war: the killing of four Palestinian children by Israeli shells as they played football on the beach. Warsi hoped that David Cameron would condemn the attack as beyond the pale. Instead, she heard only the dry language of diplomacy. 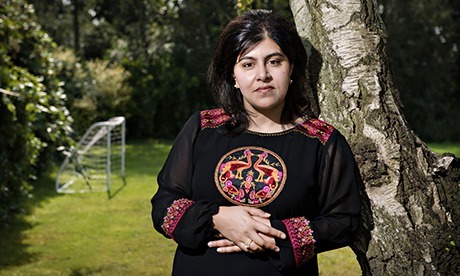 Two months on, Warsi walks over to the lounge window of her home outside Wakefield and points at a set of goalposts in the back garden.“My kids go out there playing in their shorts, looking pretty much like those kids on the beach. It was too close to home; it made it very real.